When you talk about the problems in today’s society, it’s becomes a moral obligation to seek out positive change. Fighting for social justice is more than having in depth meaningful conversations. It’s about becoming the changes you want to be made. It’s about using your faith and acting for effective results. As a resident of Northeast Detroit, there is nothing I desire more than to help be the change I wish to see in my community. In the process, I also hope to also inspire others to do the same. Our community is facing multiple political, economic, and social issues. Bombarded by violence, poverty, and environmental degradation, our city is in the brink of a crisis. Despite the ways we all contribute to these alarming issues, each one of us can participate in the restoring and rebuilding of Detroit. It pains me to see the state of our city during these troubled times. But, there is hope in our struggle. The call of action begins now. Mayor Dave Bing has recently announced the upcoming closings of 50 recreational centers and parks in the city of Detroit because of financial hardship. In my community, the closing of our nearest Recreational center resulted in youth gang involvement and increased violent related crimes. 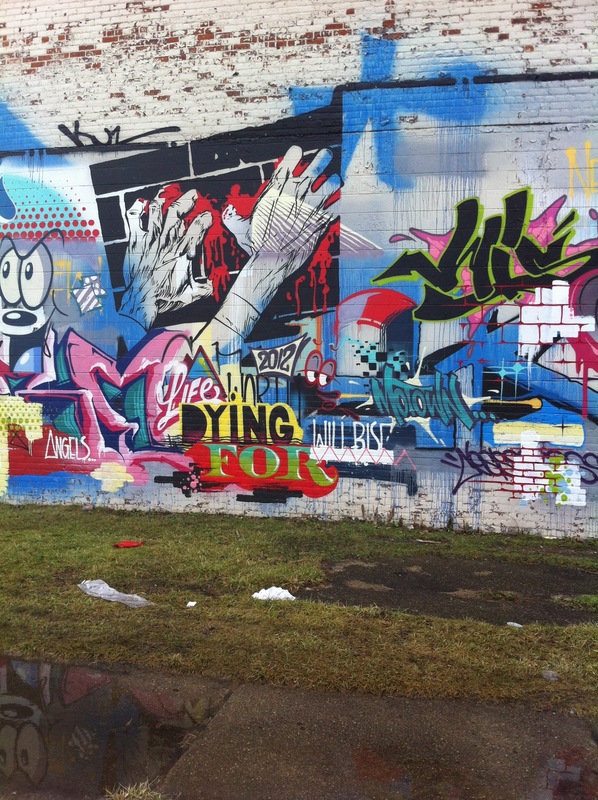 The brick foundation is now covered with graffiti and territorial art. Our youth need to be involved with more extracurricular activities, after school programs, and recreational activities in order to remain productive and positively active in society. Taking away these basic needs contributes to the underlying issues that promotes social injustice. You can continue to cover up problems with short term decisions but unless you seek fixing the root causes then change will never really happen. Change, Hope, and Faith in action. Posted on February 16, 2013 February 22, 2013 by missdortheaenriquePosted in AllTagged Detroit, Social Justice.